Since opening their first family business, Tents and Stuff, Inc., in 2002, the Chaberek Family has been a fixture in the local community. Starting out offering tent, table and chair rentals and adding the Chaberek Family Christmas Trees starting in 2008, the family has been very supportive of community events, charities and schools. Now, with the upcoming grand opening of its latest business venture, The Party Stop, a brick and mortar party store right at FishHawk Blvd. and Lithia Pinecrest Rd. adjacent to the Sherwin Williams store, the family is ready to offer more to the community. The opening of The Party Store is yet one more leap of faith for the family. In 2004, Ted left his career as an Environmental Geologist after seven years to work Tents and Stuff, Inc. full time. Darlene left her job as a senior marketing and proposal coordinator for Engineering Firms after 14 years at the end of 2004. In 2008, the Chaberek Family Christmas Trees business was born and has been a contributor to Newsome High School, Stowers Elementary and several families in the community ever since. “The amazing support from FishHawk families helped us provide free trees for families in need,” said Darlene. 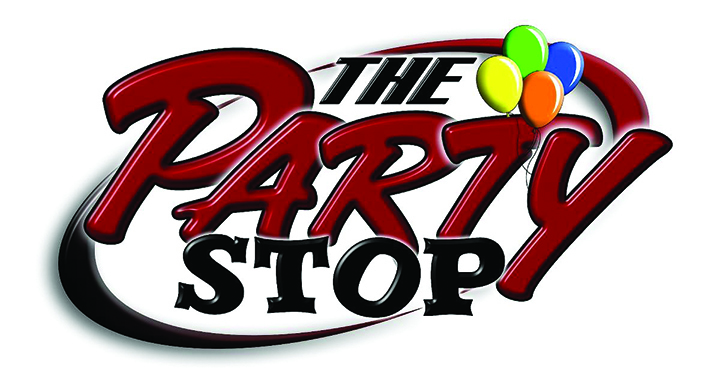 With the opening of The Party Stop, the Chaberek’s will offer a unique kid friendly “Boutique” party store that will be providing party rentals, supplies and gifts that will include watches, jewelry, a unique line of baby stuff, Blue Mountain Arts cards, house decor, flower arrangements and much more. “We will be an evolving seasonal shop with party rentals which will include, tents, tables, chairs, china, glassware, flatware, linens, chaffers, cotton candy machines, popcorn machine, sno cone machines, dance floors, large grills, serve ware, table decor, party disco lights, large coffee makers, beverage dispensers (hot and cold), large coolers and more,” said Darlene. In addition to rentals, it will be selling an assortment of party supplies and will provide cards and gifts. In addition to The Party Stop and Tents and Stuff, Darlene launched another division of her company with Green Wise Painting and Flooring Company. This service business offers flooring, painting and handyman services. The Party Stop is located at 5494 Lithia Pinecrest Rd. For more information, call 967-1501.